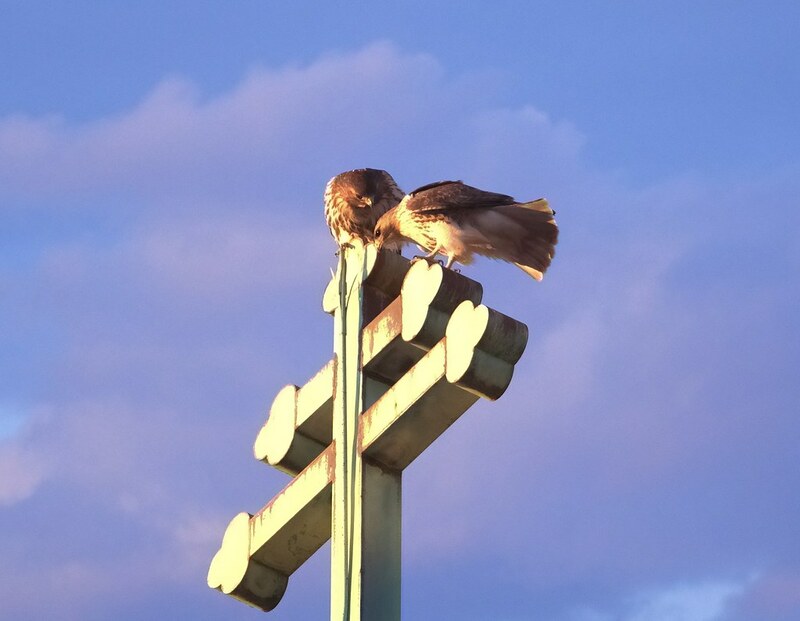 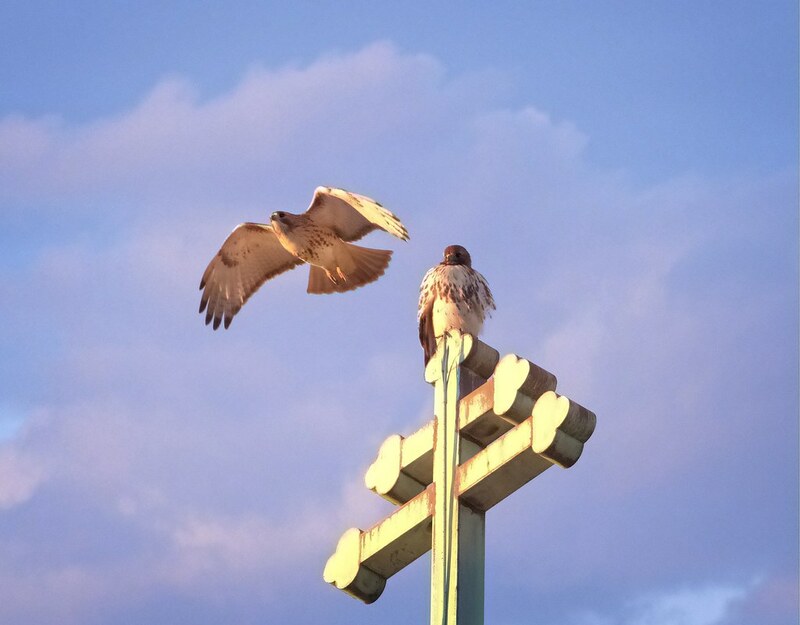 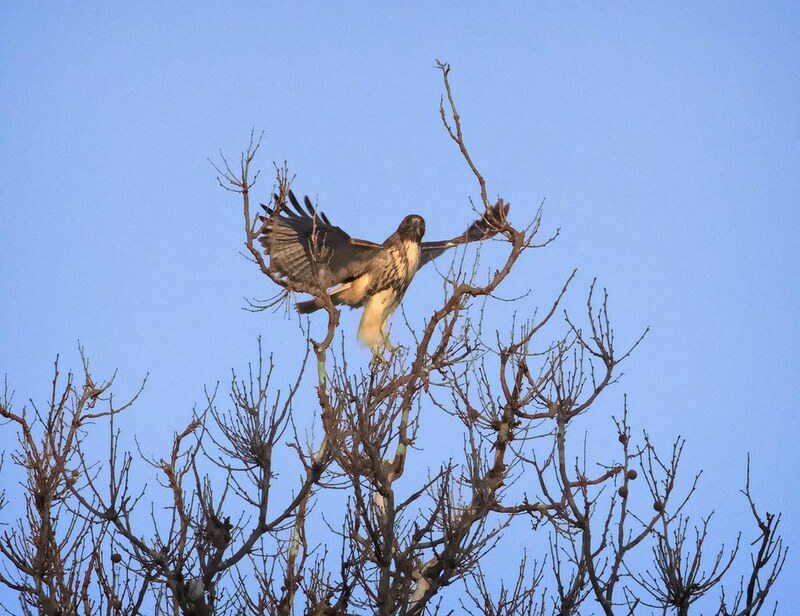 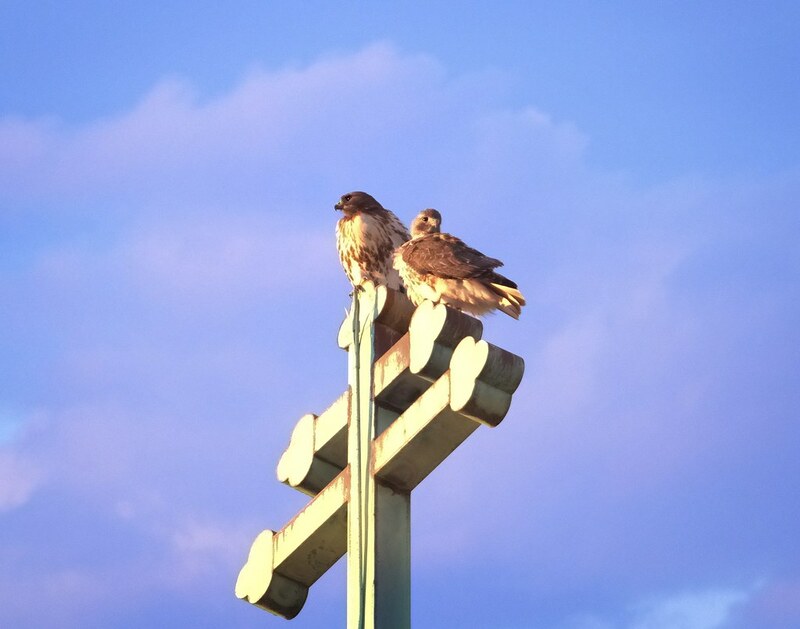 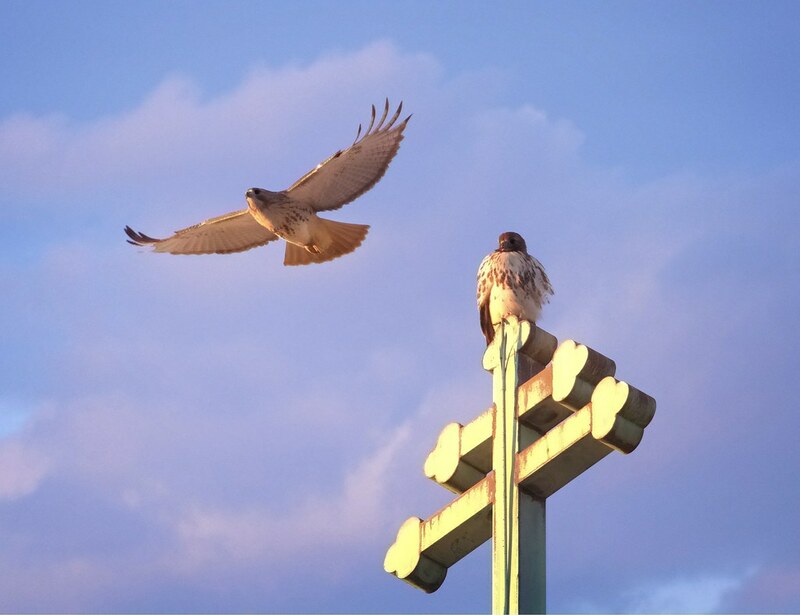 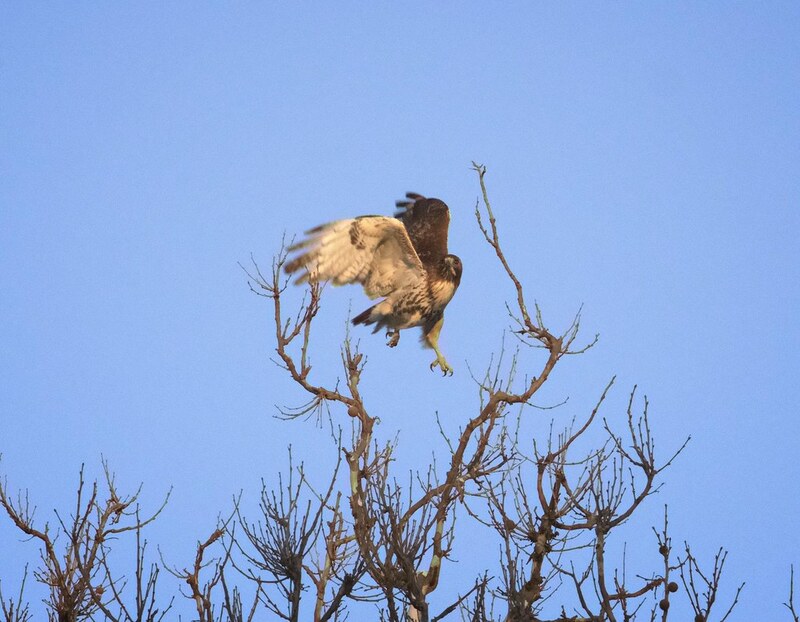 Our hawks are very active at sunset, and I've noticed Dora especially likes to savor the last light of the day, usually perched on one of the local church crosses. 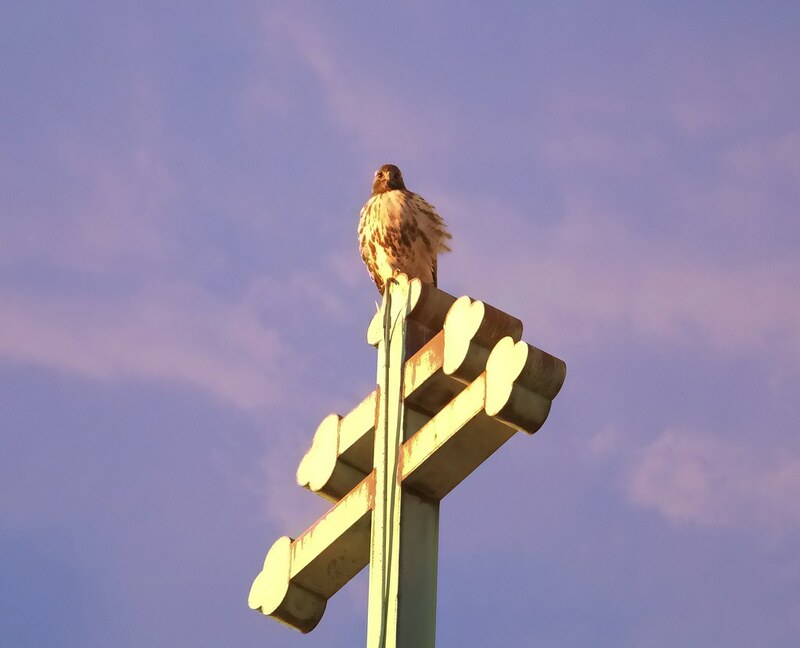 Here she is looking pretty in pink atop St Nicholas of Myra on Avenue A & 10th Street. 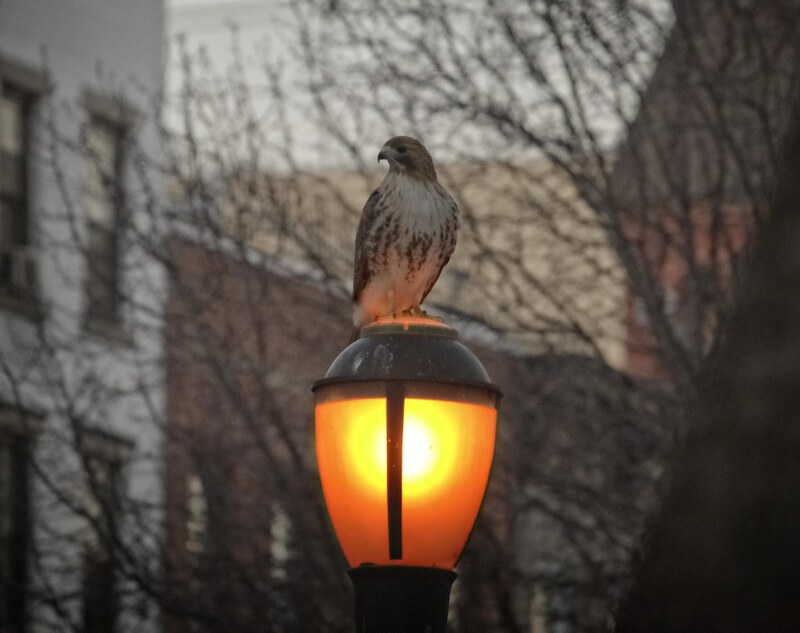 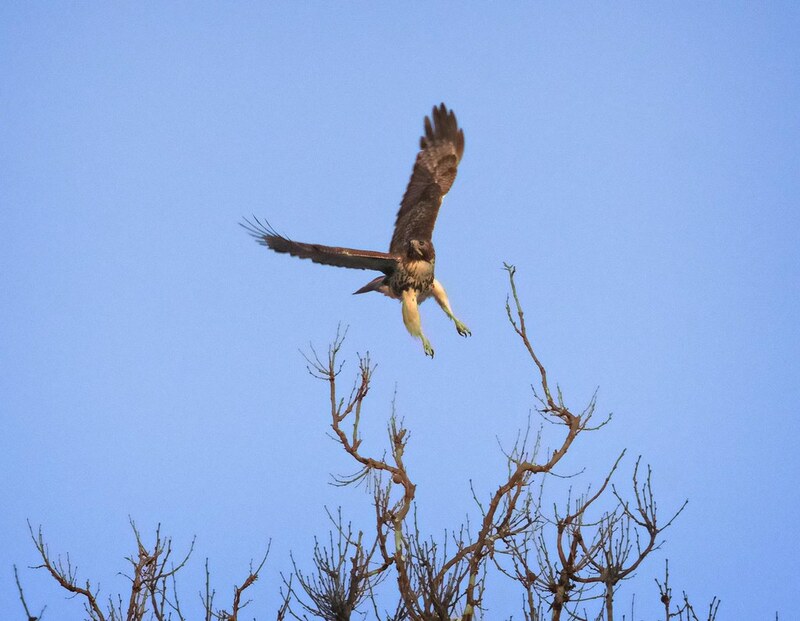 She found the tallest tree along 10th Street and perched on the highest branches, becoming the last illuminated part of it. 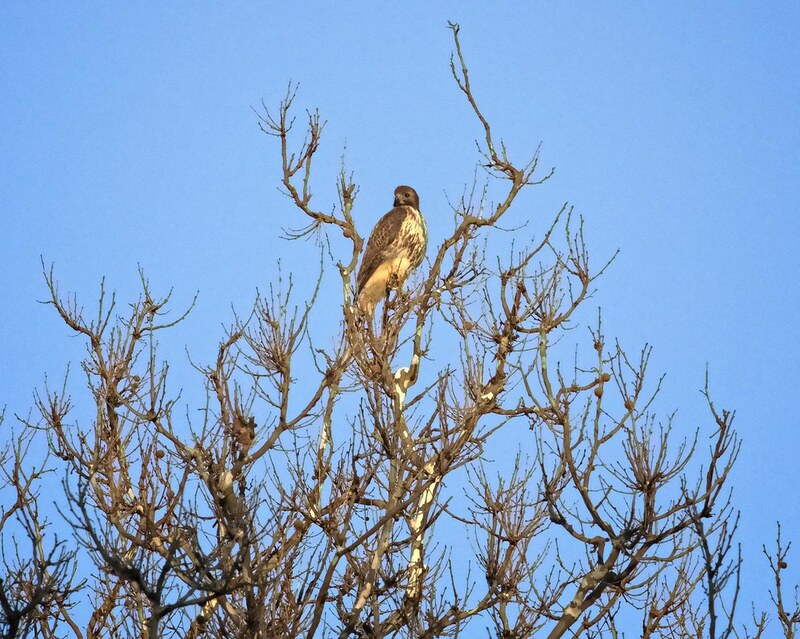 The shadows rose up from the ground until she looked like a golden tree ornament. 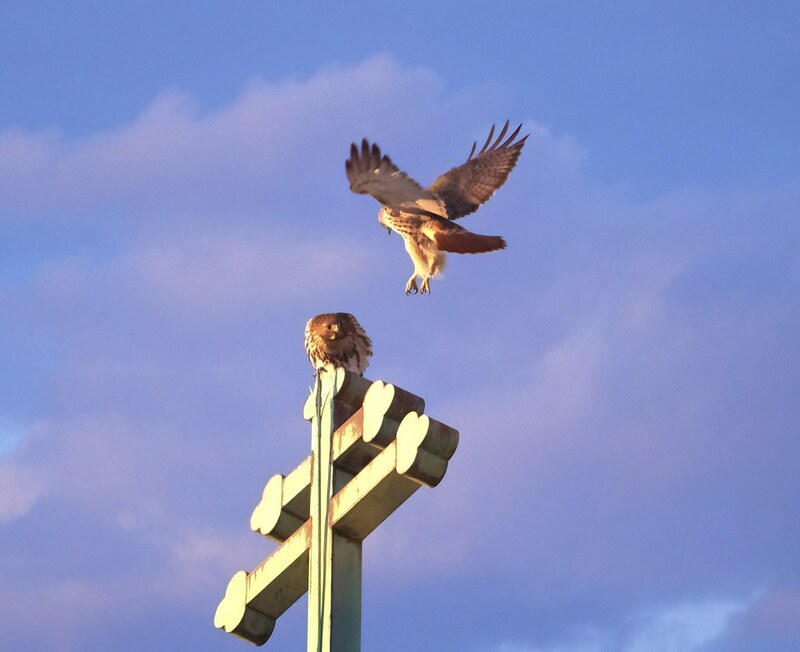 Back at the cross, Dora greeted Christo as he joined her for their last meetup of the day. 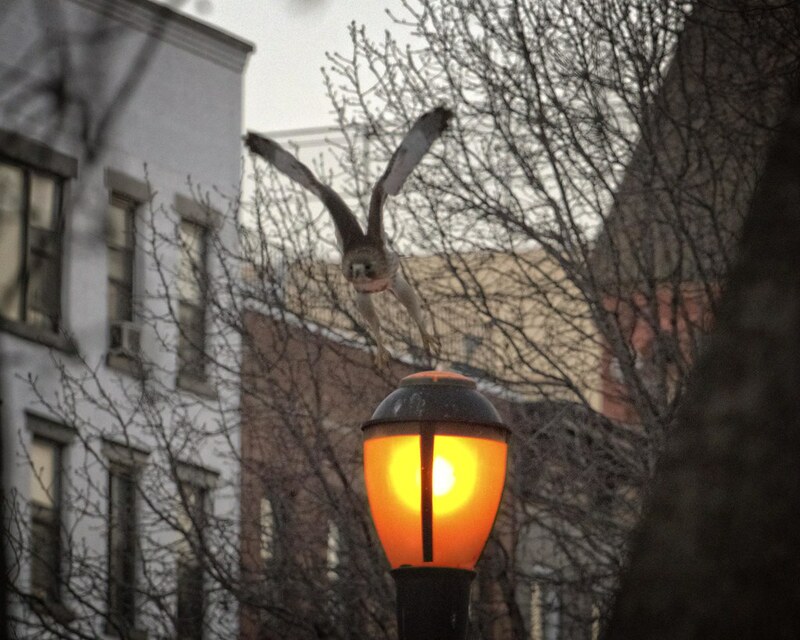 ...and went hunting by lamp light along Avenue A.